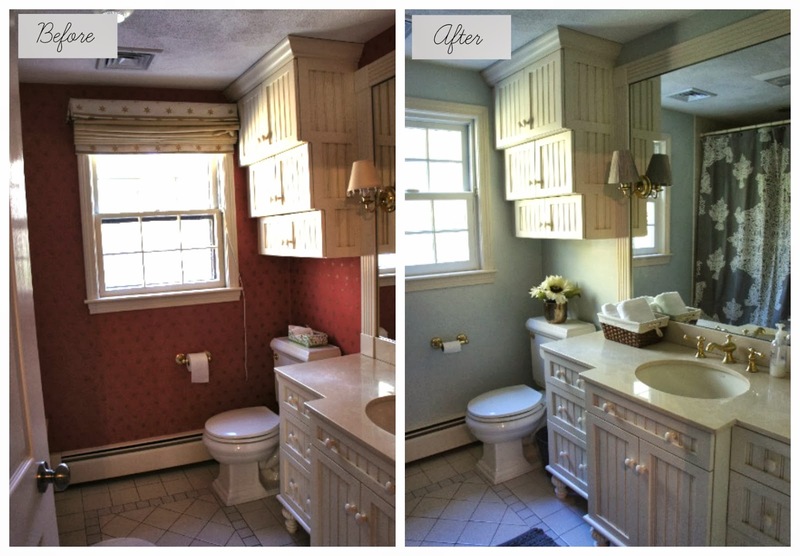 I wanted to give the bathroom a quick facelift without spending a whole lot of money. That means that my previous plans to replace all the brass fixtures, floor and shower tile were going to have to wait. I had a half gallon of paint left from painting the dining room. It's Benjamin Moore Healing Aloe and I decided it would work just fine in the bathroom. 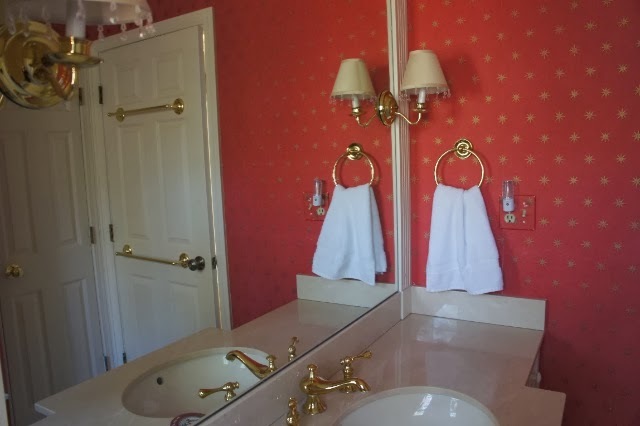 After removing the wallpaper, I applied two coats of paint, then shopped Target for a new shower curtain, rug, and towels. I'll admit it's not a huge difference, but things are looking a little lighter and brighter and a little more 2000. 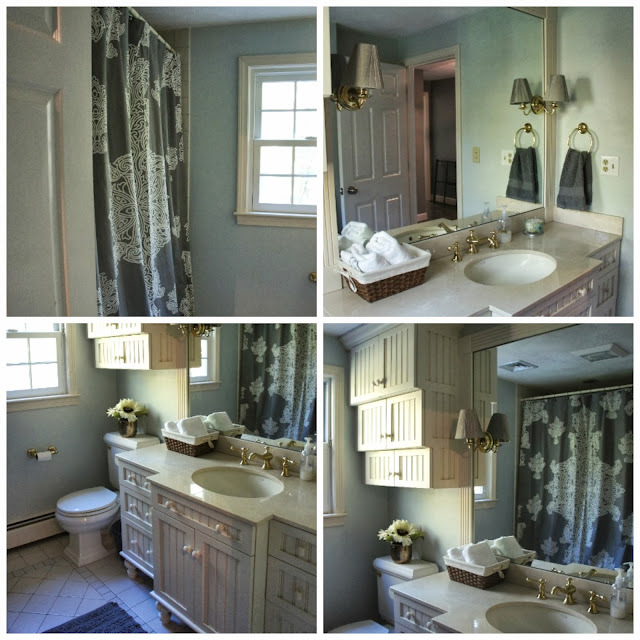 Besides buying a few new bathroom accessories, I also replaced the lampshades with some gray ones to match the new shower curtain. What quick, inexpensive home updates have you been up to lately? Wow! What a difference! MUCH better than that old wallpaper! I like the color you chose too. So soft and pretty!